A man is in hospital with life-threatening injuries. 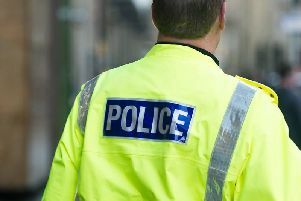 A man has been left critically-injured following an attempted murder in Glasgow city centre. The incident occurred around 12:20am on Sunday morning. A 57 year-old man was on Hope Street, at Cowcaddens Road, when he was seriously assaulted by another man. He was taken to the Glasgow Royal Infirmary, but was later transferred to the Queen Elizabeth University Hospital where his condition is described as critical. “A man has been left in a critical condition and it is vital that we find out who is responsible for his injuries. “Officers are trying to establish a description of the suspect and have been speaking to those in the area and checking CCTV. “However, we are appealing for anyone who has any information regarding the incident to come forward”. Anyone with information should contact Police via 101, quoting incident number 0141 of Sunday 1 July 2018. Alternatively you can contact CRIMESTOPPERS on 0800 555 111 where information can be given in confidence.